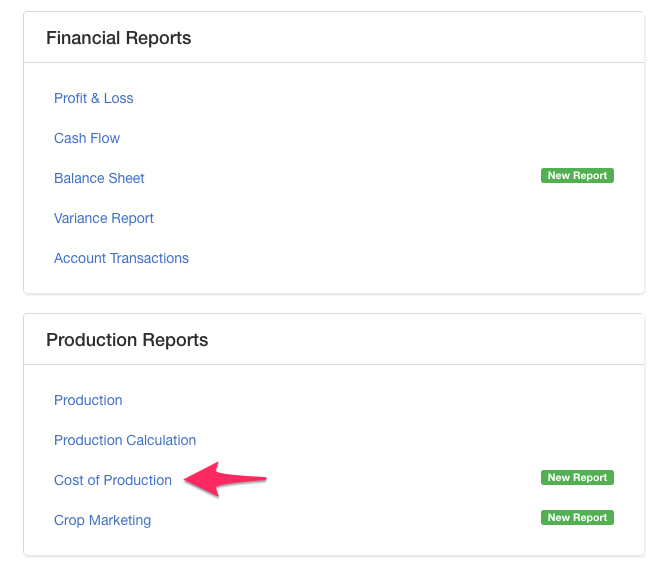 The cost of production report summarises your total production, direct costs, overhead costs allocations, and expenses for each season. It can be found under your Reports tab along with all other production and financial reports. The CoP report can be run for each unique crop type (including its season) along with any other trackers on the farm. 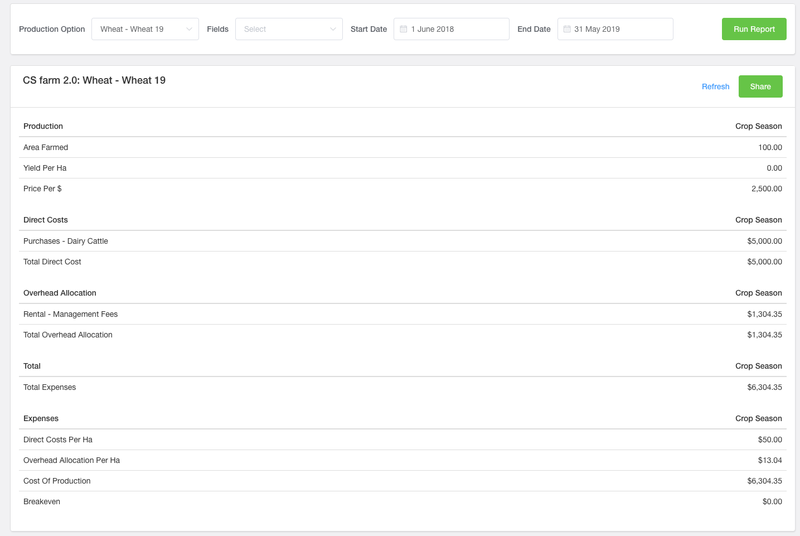 You can also filter the report based on fields (for crops) and you can choose the start / end date - so it isn't limited to a budget year. The report can then be saved and shared like all other reports on Figured.